EQ Child Care is a safe, fun, and nurturing place for your child to be cared for while you focus on your health. Our Child Care team is certified in infant and child CPR and first aid, and boasts extensive experience with children of all ages. 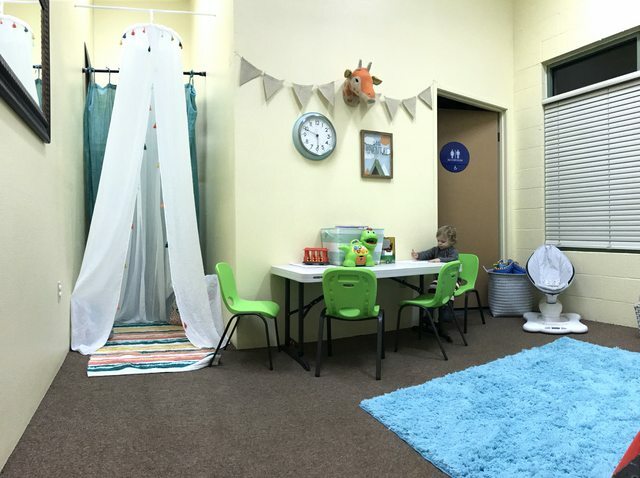 In addition to providing an interactive and stimulating environment for your child, we value safety and cleanliness and strive to keep a facility that reflects this consistently. We look forward to playing with you soon! Each Child Care session is 70 minutes, with the opportunity to drop off up to five minutes before your reservation begins. We offer online booking here: EQ Clubs Child Care Scheduling, or you can give us a call at 541-1100 to book your session up to one week in advance. In your booking notes, please indicate the name and age of your child(ren) so we may better prepare for your visit. For additional policies and procedures, please download our EQ Child Care Policies form below. Before your first visit, please download, print, and fill out our EQ Child Care Intake Form below.